Earlier this week we put out the first edition of The Big List of Companies That Blog. What surprised me was how many ecommerce companies there were on the list and really there could be many more. I think it’s been assumed that a blog could not work for ecommerce companies. I for one thought it was true. After all, an ecommerce company needs to have quite a few transactions and blogging can bring in lots of people, but it’s always been my assumption that service businesses would have a better chance of getting a return on blogging. As is often the case it appears I was wrong. 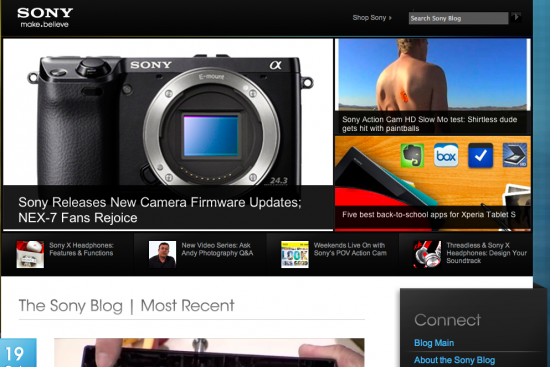 There has to be some reason for these ecommerce blogs. Let’s take a look at five of the best and see what they’re doing well from a blogger’s point of view. Unscrambled by Newegg kind of surprised me. Well, I shouldn’t even type that since all the ecommerce blogs surprised me. 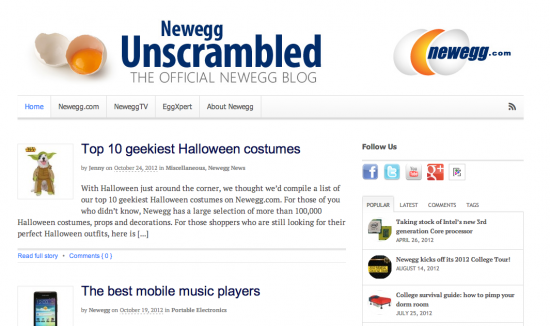 Newegg uses a great blogging strategy and one that really makes a lot of sense for ecommerce companies. Lists posts are something people love. I’m not entirely sure why we love them. I think it has something to do with being able to quickly scan a list and then go back and read more in depth. Also, I think people appreciate the curation aspect. When we know that experts have already done work to create a list that’s easy for us to digest we appreciate it because it adds to our understanding. Newegg also asks questions in the headlines of their posts. People click on questions all the time because they want to know the answer. If you give great answers to burning questions you’ll have a winning ecommerce blog strategy. How-to articles are some of the best blog posts a company in any industry can create. As mentioned above, people have a thirst for knowledge. At heart we’re all still two years old asking any adult in the nearby area the questions “why?” and “how?”. You’ve been around these kids. They just can’t stop looking for answers to everything. If you can provide the answers to the questions your customers have you’ll be very popular. 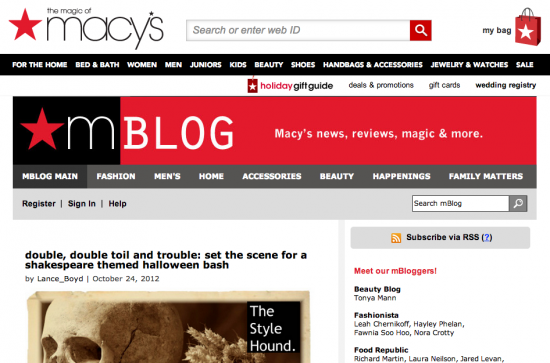 Macy’s does this with their Mblog. People are very visual. Blogging can be visual. If you have anything like photos or graphics don’t be afraid to use them on your blog. There is likely someone in your company that can create some great images. Find the person that’s passionate about it and use them on your company blog. Now, this brings up and important point. Whatever kind of blog you create needs to fit within the 3 circles of business blogging. Don’t just use images for the sake of using images. Make sure they fit the business objectives. Make sure you’re filling customer needs with your knowledge. I think Creative Inspiration from Vistaprint does a good job with this circle concept. 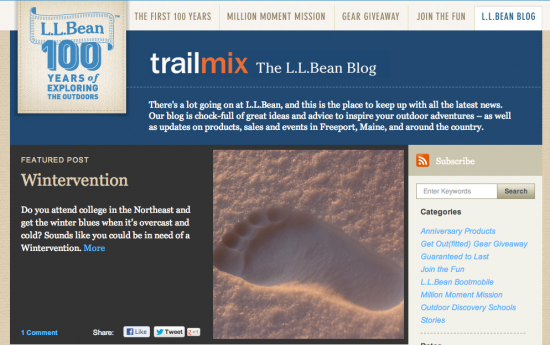 The Trail Mix Blog from Bean seems to be more about letting people get to know the company and the people at the company. That’s a good strategy because so much of making purchases is about trusting the people you’re buying from. It’s hard to get people to buy if they don’t trust you. They might give you one shot, but if you burn their trust they’ll never come back. Bean has always been a company that does all it can to maintain that trusting relationship with its customers. This goes all the way back to the first shipment of Bean Boots when there was a defect and old LL replaced all the boots himself despite a big loss in cash. You can use a blog to form relationships. It can help your company in the long run. Every company gets caught up in what they’re doing. When you’re working in the company you don’t realize all the cool aspects of your products and services. It’s hard to see it because you’re around it all the time. I think what Sony did with a recent blog post. They showed the inside workings of one of their products. People think this stuff is cool. When consumers know what goes into making the products they love they are typically more interested in buying and possibly even more willing to pay a little more for the product. These are just some of the retail blogs out there. 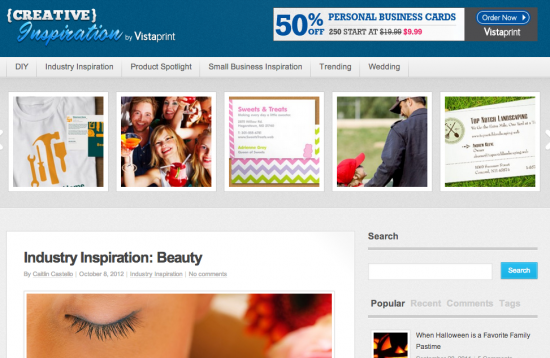 You could also draw more inspiration from these five blogs. So go explore them and use a little of their strategy and a little of your own to create a winning ecommerce blogging strategy.